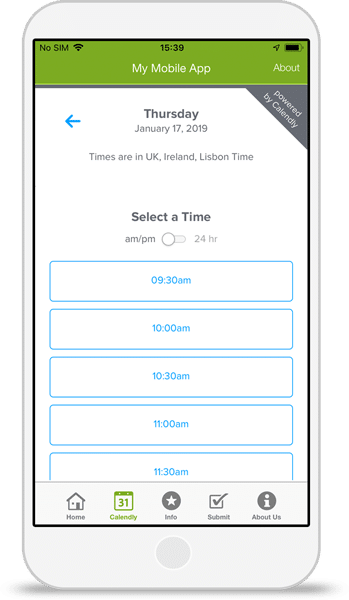 Connect your Calendly account to offer a simple way for customers and clients to schedule appointments inside your app. Choose from a range of templates to find the best fit for your business or start fresh with ‘General’. We pull information and branding automatically into your app. Using your existing Facebook Page and Website . Connect your booking calendar using our simple integration — all without writing a single line of code. Launch your Calendly app in minutes. Simply follow the simple publish wizard to completion.